Engagement ring has 94 micro pave round diamonds. 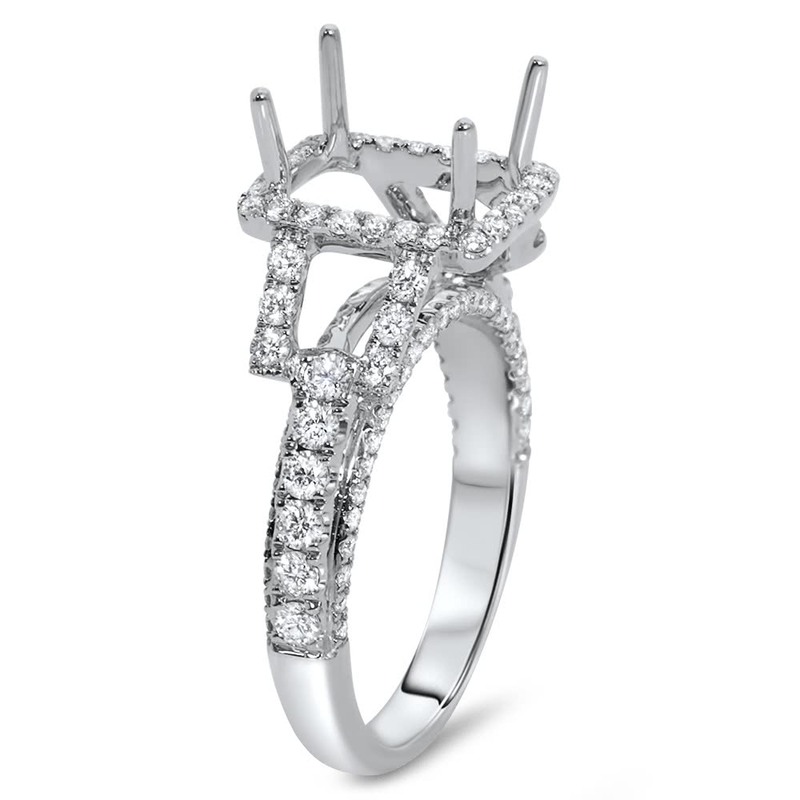 The side diamonds flow down the side and are set on the front and back of the engagement ring. 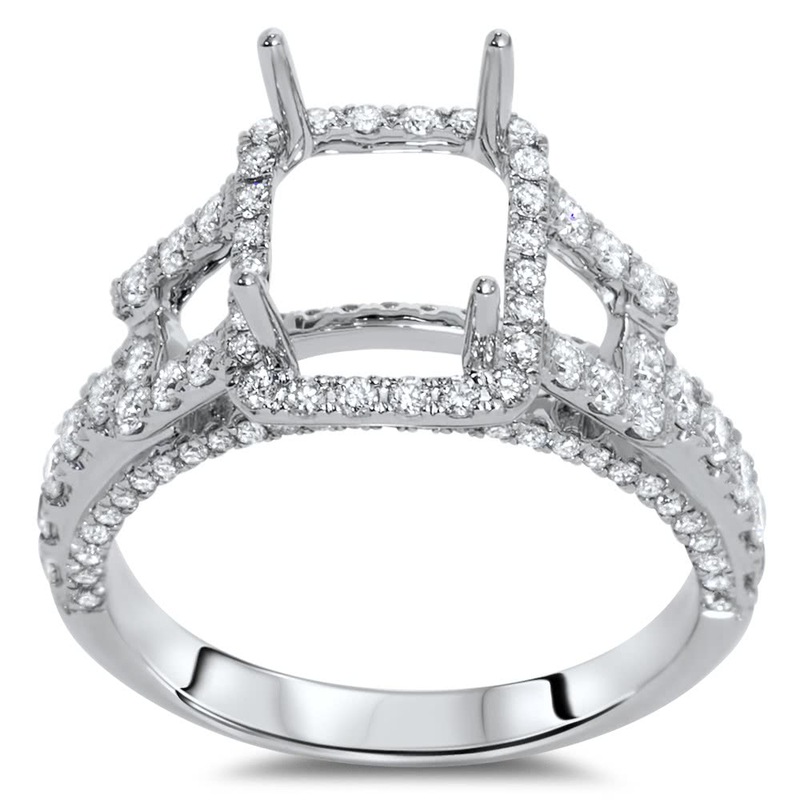 The ring will accommodate a radiant or cushion shape diamond.